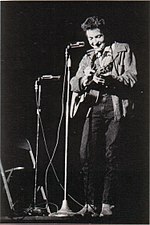 ^ Dylan, Bob (1963年). 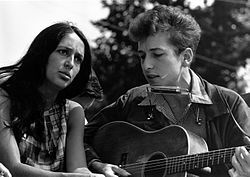 Album notes for "Joan Baez in Concert, Part 2" by Joan Baez. Vanguard (VRS-9113/VSD-2123). 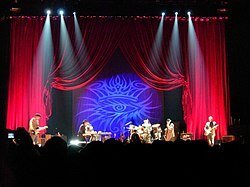 "An' my first idol was Hank Williams"
^ Santelli （2005年）、pp. 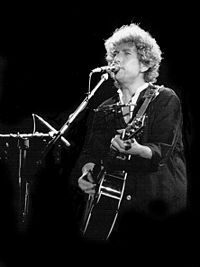 9-10。"to join "Little Richard""
^ Williams （1962年）。"For six troubled months, Bob attended the University of Minnesota on a scholarship. But like so many of the restless, questioning students of his generation, the formal confines of college couldn't hold him." 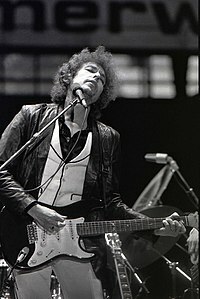 ^ Scaduto （1973年）、 p. 130。 "Bob Dylan didn't light up skies; it sold only five thousand copies the first year, just enough to break even for Columbia." ^ Sounes, Howard. 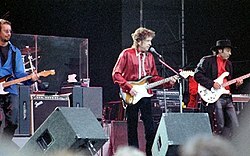 Down The Highway: The Life of Bob Dylan. pp. p. 420. "I really thought I'd be seeing Elvis soon." ^ “Remarks by the President at Kennedy Center Honors Reception”. Clinton White House. (1997年12月8日). http://clinton4.nara.gov/textonly/WH/New/html/19971208-2814.html 2009年11月16日閲覧. "He probably had more impact on people of my generation than any other creative artist." アンソニー・スカデュト『ボブ・ディラン』小林宏明訳、二見書房、1973年。 - Scaduto, Anthony (1971). Bob Dylan: An Intimate Biography ((1st ed.) ed.). New York: Grosset & Dunlap. 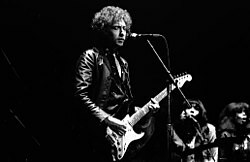 , Bob Dylan. SIGNET ((paperback ed.) ed.). New York: The New American Library. (1973). スージー・ロトロ『グリニッチヴィレッジの青春』菅野ヘッケル訳、河出書房新社、2010年。ISBN 978-4-309-20531-1。 - Rotolo, Suze (2008). A Freewheelin' Time: A Memoir of Greenwich Village in the Sixties. New York: Broadway Books. ISBN 0767926870. ステイシー・ウィリアムズ、ボブ・ディラン『ボブ・ディラン』（1962年）のアルバム・ノーツ。 - Williams, Stacey (1962). "His Life and Times". 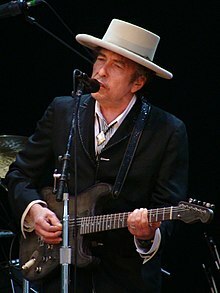 Album notes for "Bob Dylan" by Bob Dylan. Columbia (CL 1779/CS 8579). 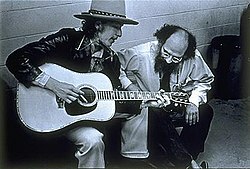 ハワード・スーンズ『ダウン・ザ・ハイウェイ〜ボブ・ディランの生涯』菅野ヘッケル訳、河出書房新社、2002年。ISBN 4-309-26614-2。 - Sounes, Howard (2001). 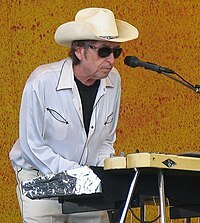 Down The Highway: The Life of Bob Dylan. New York: Grove Press. ISBN 0-8021-1686-8.